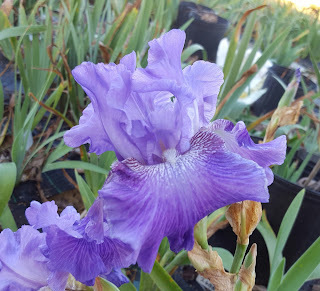 My garden is a working/hybridizing garden with the goal of breeding some of the newest and best reblooming irises for the cooler zones 5 and 6. 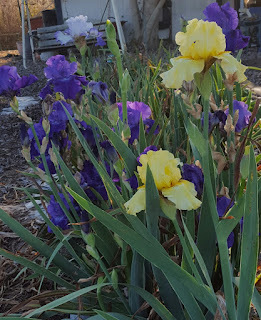 The 2016 bloom season has truly been one of the most beautiful iris years in my recent memory. How lucky could I get? 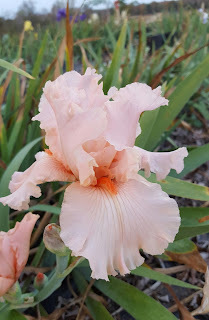 After a late spring and summer full of rebloom, I get early and late blooms! 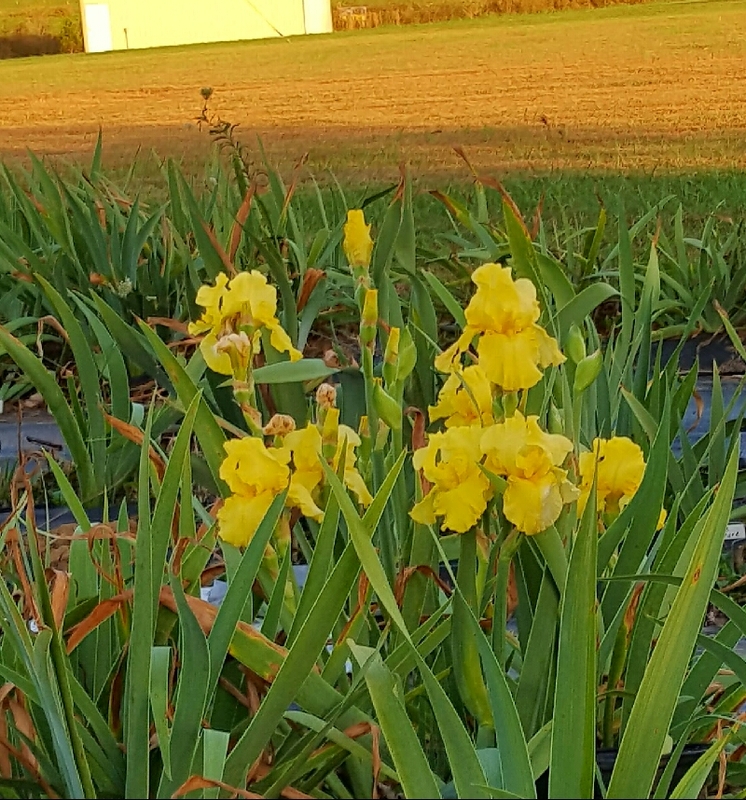 Fall was in no hurry to leave my Kentucky garden, and I was in no rush to have it leave. There have been a couple of fall seasons when my body was weak, but my love affair with iris has not grown any weaker as the years pass. No hard freeze until November 11. Thanks, Mother Nature! 'Luminosity' is a bright beacon in the fall garden. As the fall sun grows lower in the sky, more and more stalks appear in the clump. It doesn't bloom this strong every fall, but when it does blooms there are usually several stalks. The stalks are perfect this year, showing me it could be a good choice for future breeding. 'Gate of Heaven' was reported in an earlier version, but it did continue to bloom all the way to the freezing frost. There were eight or ten fall stalks. I've moved a clump of this and another of 'Immortality' near the new rebloom perennial bed and, therefore, easy to use in the spring, as that is when I do my breeding. Several of my reblooming seedlings performed well this fall. 2612-03Re will be a good one if the stalks can grow taller in the future. It grew three stalks. 2611-03Re is one of my favorites from the 2611 cross as it has a brownish cast which pales after opening. It has perfect branching, a great bud count and it's tall. 'Cool Character' was beautiful this fall. 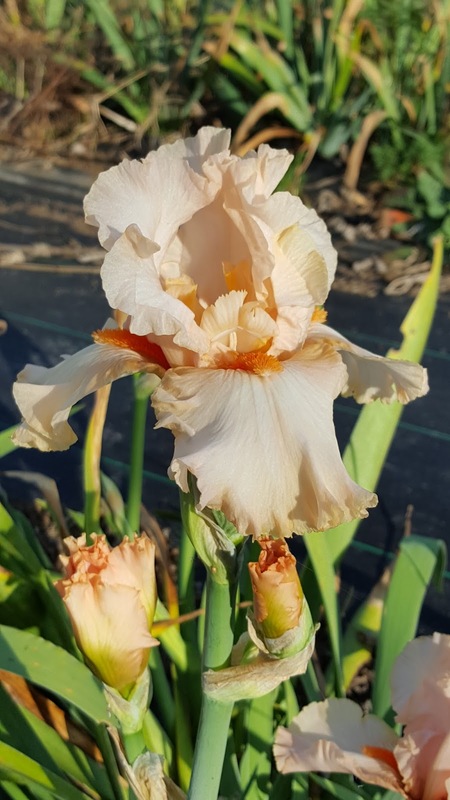 The standards are a very pale lavender when first open and pales to pure white. Falls are white with a band of purple. 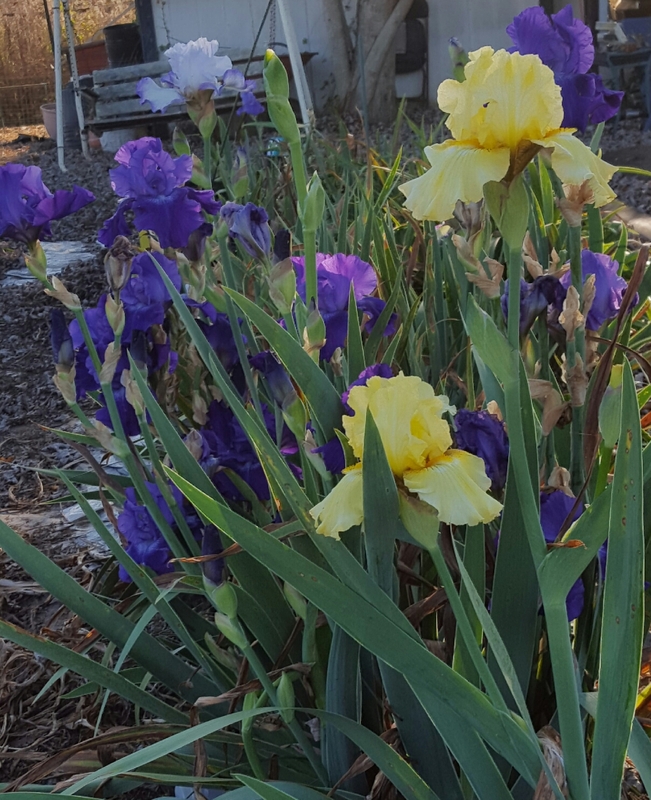 Multiple tall, robust stalks with a great bud count. I was a great contrast with 'Star Gate' which blooms beside it. 'Lunar Whitewash' has been one of the great reblooming promises of the modern ages. I've used it several times in breeding and will probably do so again before I'm finished. The branching is not always poor, as expected, but it's not always good, either. 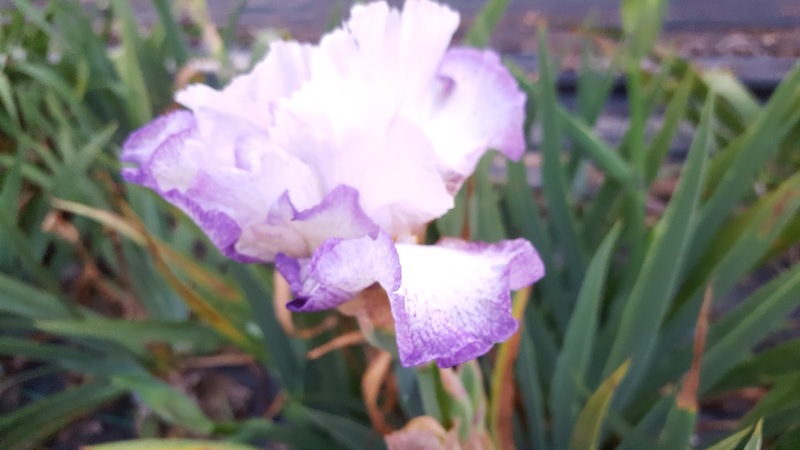 It bloomed this fall even though it had only been moved to this spot in the spring. Below are three pink or pinkish irises that bloomed this fall. Unfortunately, they probably used up most of their energy, and they may not bloom in the spring. If I'd known the cold weather would be so long in raising it's frosty highlight, I'd have made some crosses early in the fall! Such is not my practice. 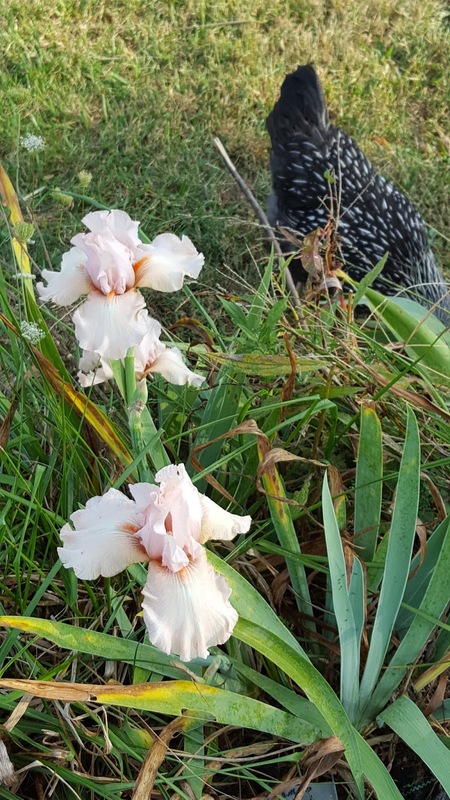 Sherri's pretty chicken was at large in the one picture. The three in the last picture are all Wilkerson introductions. They are some of my best creations. I look forward to posting more reblooming seedlings as the 2017 year is near! My 2016 seedlings will be sprouting between late February and late April, but most likely they will begin in mid March. 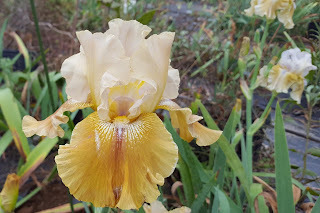 For winter research I recommend going into the Blog archives here, and going to The Reblooming Iris website @ www.rebloomingiris.com. 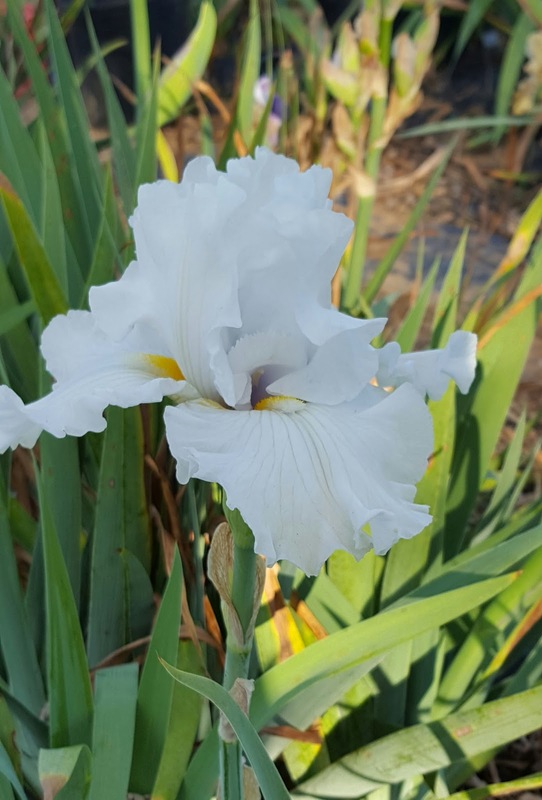 All of the iris groups on Facebook have a search feature that will help in iris research. 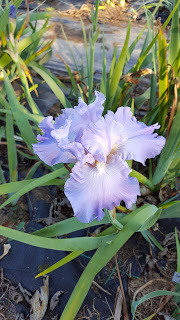 I also recommend looking at the websites of people who sell reblooming irises like http://www.walking-p-bar.com/ & www.schreinersgardens.com, not to buy, but to research what is available.